Right now, climate change and plastic pollution are two of the biggest challenges we all face. Recently we’ve noticed that more people are talking about the plastic problem – which is great - because it’s an issue that needs to be tackled. Since ecostore started in 1993, we've been committed to making products that are safer for people and our world. This philosophy goes hand in hand with ensuring we create packaging that is as sustainable as possible – it's hugely important to us and we take this responsibility very seriously. Most plastic is made from non-renewable petrochemicals. The extraction process and conversion into plastic releases carbon into the atmosphere, adding to climate change. So, a number of years ago we challenged ourselves to find a packaging alternative that is safer for our planet. And we found one. It's plastic made from sugarcane. Made from a renewable source, making it a better and more sustainable way to make plastic. As sugarcane grows, it removes carbon from the atmosphere. Sugar plastic bottles help to reduce your carbon footprint. Chemically identical to regular plastic, so can be recycled as #2. We’ve embossed the base of our bottles with Carbon Capture™ , so you can tell it's a more sustainable plastic. We chose sugar plastic for a number of reasons, but the best one is that it comes from a renewable source - and that it actually removes carbon from our atmosphere. Just like trees, as sugarcane grows it takes carbon out of the atmosphere. Sugarcane husks even generate bio-electricity in the factory that makes the sugar plastic, making the production process even more sustainable. Since moving to sugar plastic in 2014, we’ve saved 4,485 tonnes1 (and counting) of carbon from being released into the air – that’s as much as driving a car from Perth to Sydney 4,496 times! Our sugar plastic bottles are also 100% recyclable through kerbside collection, so they can be remade into new bottles. Our Auckland-based factory is also the only manufacturer in Australasia with ISO9001, ISO14001, Enviromark Diamond and CarboNZero certifications. 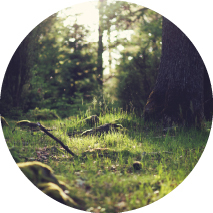 These certifications are your guarantee that our products are made with respect and care for our environment. Since 2011 we've also been offsetting our carbon into NZ based schemes, like native forest regeneration. Our sugar plastic helps reduce your carbon footprint, and we’ve done our homework to make sure it is a sustainable choice behind the scenes too. We needed to find an alternative to traditional plastic that lived up to the highest possible standards of social and environmental responsibility, and we identified sugarcane plastic as the best option. Ninety percent of sugarcane cultivation and harvesting in Brazil is concentrated more than 2000km from the Amazon Rainforest Region, and a government regulatory framework bans planting in areas with high levels of biodiversity. 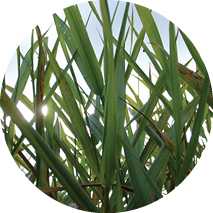 Commonly planted on degraded pasture land, sugarcane helps recover the soil - and sugarcane bagasse, a waste product from the crushing process - is often used to generate electric power to supply the entire ethanol production process. The crop is primarily rain fed and produced using organic fertilisers. As well, the sugarcane production is carried out under a grower/supplier code of conduct that affords new rights to workers and ensures they have a better quality of life. Sugar plastic is 100% recyclable, but plastic that’s not recycled properly adds to landfills and pollutes the ocean. Our vision is for zero waste and we’ll continue to innovate to make our packaging more sustainable. Our sugar plastic bottles are 100% recyclable so they can be remade into new bottles. Whilst we believe our sugarcane plastic is the most responsible packaging option currently available, we also recognise there is a plastic / plastic recycling problem. We want to help with this, so to do our bit, in the next couple of months we will be incorporating a percentage of recycled plastic into some of our bottles. How does sugarcane capture carbon and reduce your carbon footprint? Plants take in carbon dioxide from the atmosphere through small pores in their leaves. They need carbon dioxide for photosynthesis, which leads to the production of sugars, and eventually more complex molecules for use by the plant in growth and metabolism. The carbon dioxide captured during the sugarcane cultivation process (from sugarcane growth until its production) remains stored during the plastic's entire life cycle (as long as it is not incinerated). Every kg of sugar plastic captures and stores approximately 2kg of CO2 from the atmosphere6. Are sugar plastic bottles 100% kerbside recyclable? Yes. Sugarcane-based HDPE is physically and chemically identical to traditional petrochemical plastic. This means it can be recycled in the same chain used for recycling traditional high-density polyethylene (#2) from petrochemical sources (unlike other bio-based plastics for which no recycling system exists). No, it is not biodegradable or compostable. Current technology requires biodegradable plastic to go through a commercial composting facility. This is not readily available in Australia as a result biodegradable plastic ends up contaminating recycling streams or ends up in landfill where it is slow to biodegrade so less than ideal. Like plastics made from petrochemicals, sugar plastic is a recyclable material and in fact can be recycled normally using the facilities we already have. If our sugar plastic bottles did biodegrade or is incinerated, the captured carbon dioxide would be released back to the atmosphere and it would then be carbon neutral. The fact that it is recyclable is a benefit as it reduces carbon emissions. Why is sugar plastic so important? Sugar plastic reduces the need for fossil fuels. Polyethylene (plastic) is conventionally produced from raw materials such as oil or natural gas, which are non-renewable, as they are derived from pre-historic fossils and are no longer readily available once used. The extraction processes used to obtain fossil fuels are associated with many negative environmental impacts including risks of oil spills, destruction of wide areas of land and resulting ecological imbalance. Are there additional benefits from using sugar plastic? Processing facilities that make the sugarcane ethanol operate almost exclusively on renewable energy that comes from the sugarcane by-products. Sugarcane bagasse, a waste product from the crushing process, is often used to generate power to supply the entire ethanol production process, which makes it energy self-sufficient. Any surplus power is sent to the grid, adding energy to Brazil's energy matrix. The production process of sugar plastic uses over 70% less fossil fuels than traditional petroleum-based (HDPE) plastic. What % of the bottle comes from sugarcane? 92% of each bottle is made from renewable sugar plastic7. Sugar plastic is made only from sugarcane (ethanol) suppliers certified by Bonsucro who are a global non-profit organisation dedicated to reducing the environmental and social impacts of sugarcane production while recognising the need for economic viability. How many of your bottles will be made from sugarcane plastic? 98% of our bottled product is converting to sugarcane-based HDPE. This currently, excludes our caps, lip balm tubes and some of our bulk products. We are currently investigating changing these as well. Is there any noticeable difference in the plastic? No, changes to ecostore bottles will be unnoticeable as sugarcane-based plastic is physically and chemically identical to traditional petrochemical plastic. In fact, the only way to differentiate the two products is through C-14 carbon dating. The same performance you love and expect but in a more sustainable bottle. That’s why we are embossing the base with the logo ‘Carbon Capture™’ without this, there’s no way to tell the difference. Is the use of pesticides and fungicides a regular practice on sugarcane plantations? The main diseases that threaten the plants are treated using biological controls and genetic improvement programs. This way, the use of pesticides on sugarcane plantations in Brazil is low and the use of fungicides is practically non-existent. Do you use genetically modified sugarcane crops? No, genetically modified sugarcane is not sold in Brazil, which is where our sugarcane is grown. This is currently restricted to cotton, corn and soybean only. Does sugarcane cultivation use only rainwater? Sugarcane in Brazil is practically not irrigated. Water needs, in the agricultural phase, are resolved naturally by the rainfall of the producing regions, mainly the center-south of Brazil, and is complemented by the application of vinasse, a co-product of ethanol production that is rich in water and organic nutrients, in a process called fertigation. Where does the sugarcane come from? 90% of sugarcane cultivation and harvesting in Brazil is concentrated in the South-Central region of Brazil, which is located more than 2500km from the Amazon rainforest. The expansion of planted areas is regulated by the Sugarcane Agro-ecological Zoning Policy, a regulatory framework implemented in 2009 by the federal government that prohibits planting in areas with high levels of biodiversity, including among other areas, the Amazon, Pantanal biomes, indigenous lands and environmentally protected lands. Does the growing consumption of sugarcane ethanol for sugarcane plastic production have any impact on food production? Today Brazil has 330 million hectares of arable land, only 1.4% of all arable land in Brazil is dedicated to ethanol production, and the consumption of ethanol for the production of sugarcane plastic represents about 1.7% of the total production of ethanol, or 0.02% of Brazil's arable land8. The existence of available land, combined with a possible intensification of livestock production, makes Brazil a country with room for expansion of agriculture. The use of land for the production of products other than food, even in a very optimistic scenario for the growth of the production of chemicals from renewable sources, should continue representing a small percentage of the total land available. The government has accepted a proposal to limit the expansion of sugarcane cultivation to 7.5% of Brazil’s landmass (65.7 million hectares). This proposal took into account the environmental, economic and social aspects in order to coordinate the sustainable expansion of sugarcane cultivation. How many tons of sugar plastic is produced per hectare of sugarcane? 53.5 hectares of land are required to produce a year’s supply of sugar plastic for ecostore; this is accounts for 0.00002% of Brazil’s total arable land. In one hectare, approximately 82.5 tons of sugarcane is produced, which can produce 7,200 litres of ethanol. This volume of ethanol produces three tons of ethylene, generating around three tons of sugar plastic. Is sugarcane cultivated in a socially responsible and sustainable manner? Sugarcane cultivation is conducted in accordance with Brazilian law and the rules and labour conditions established by the International Labour Organization (ILO) that should be followed by all employers, which are subject to regular inspections by the government. Our sugarcane-based HDPE supplier also has implemented a Code of Conduct for Ethanol Suppliers that is part of the “National Commitment to Social Assistance” program, which ascribes rights to workers and ensures them a better quality of life. The code of conduct covers 5 pillars – reduction of cane burning, conserving biodiversity, good environmental practises, respect for human rights and life cycle assessment. This is guaranteed by a third party auditing programme. Why is sugarcane burned and will this practice continue? Traditionally, sugarcane is burnt before manual harvesting, to make the activity of cutting sugarcane safer by burning its straw. The introduction of mechanical harvesting means sugarcane no longer needs to be burnt prior to harvesting which is great news for reducing CO2 emissions. The deadline for the end of burning is provided in Brazilian Law. Additionally, in 2007 the Protocolo Agroindustrial do Estado de São Paulo (Agroindustrial Protocol of the State of São Paulo) was voluntarily launched, which set more restrictive targets than the law. The mills signing this protocol commit to the anticipation of the deadlines to quit burning in legislation. In mechanized areas, the term is from 2014 to 2021, while in areas considered non-mechanized by current technology, the deadline is 2017 to 2031. In 2009, over 95% of all ethanol produced in the state of São Paulo, the largest Brazilian producer state, was produced in mills that signed the Protocol. Plastic packaging is one of the world’s big problems, filling up landfills, supporting extraction/use of non-renewable petroleum-based plastics and polluting oceans. It’s also a real challenge for us here at ecostore: how to make our packaging safe, stylish and easy to use while also being sustainable. We’ve always opted for the best options available to us – even when that’s meant making difficult choices like using plastic. We’ve been open about our challenges and journey because we believe in transparency, and because we know they’re stepping stones towards our goal of finding truly sustainable packaging solutions. Our sugar plastic bottles are made from renewable and sustainable sugar plant plastic, which is 100% recyclable, and a much more sustainable alternative to petroleum-based plastic. The renewable sugarcane crop traps CO2 as it grows, which is then stored in the plastic. This lowers our carbon footprint and helps reduce climate change. Why don’t you use glass packaging? We don’t use glass bottles for a few reasons, including that it is heavy to ship and generally requires extra packaging to enable it to travel safely – all these factors increase its carbon footprint. Safety of consumers is also an important consideration for us, and there is a risk of glass chipping and breaking. We believe our sugarcane plastic is the most responsible packaging option we can choose currently to store our product. We also supply bulk products and refill stations to help reduce further waste. As brands embrace sustainable business practice we hope the use of bio plastics will become the norm. As early adopters of the renewable plastics innovation (starting in 2014), we are proud to be an inspiration to all brands/consumers and show leadership in ethical business. Can recycled plastics be recycled over and over? There’s often a finite number of times materials can be recycled before they have to go to landfill. The polymers that make up the different types of plastic can get cross-contaminated, or absorb particles from the substance they contain. Recyclable plastics can usually be recycled 7-9 times, while aluminium, glass and steel can be recycled forever as these materials don’t lose integrity during recycling. Approximate values. Calculated based on the volume of sugar plastic purchased by Ecostore from 2014 to October 2018 multiplied by the ‘delta’ effect of these carbon savings (as outlined and provided by Braskem). The delta effect takes into consideration (a) the carbon savings provided from growing sugarcane and producing sugar plastic (including using bio-based electricity), (b) plus the carbon savings from not producing virgin petro-based plastic. Approximate values. Based on conservative assumptions of annual household usage of home cleaning and personal care products, multiplied by the number of Australian households (Census report 2011). Determined according to ASTM D6866. Calculation by the Society of the Plastic Industry, Bioplastics Council report. 92% is a minimum bio-based content which accounts for pigment used to colour our bottles and the carbon calculation test method limitations.